You hear plenty about the benefits of exercise; how it can reduce your risk of premature death, make your heart healthier, limit cholesterol, fight off dementia, and increase longevity. But nobody has figured out the best form of exercise or exactly how much you need to do to achieve a specific result…until now! The typical recommendation from doctors and the National Institutes of Health (NIH) is 150 minutes of moderate activity per week, without going into details about what activities in particular or what exactly they will do for your body. All the NIH tells you is that moderate exercise will likely reduce the risk of age-related diseases and provide health benefits. But now a team of researchers has figured out the specifics for us: that running—at any speed, for any distance, or for any amount of time—can increase longevity more than any other form of exercise. The study looked at runners versus non-runners, and on average, it showed that people who ran lived three years longer. In fact, running as little as five minutes per day was associated with an increased lifespan. 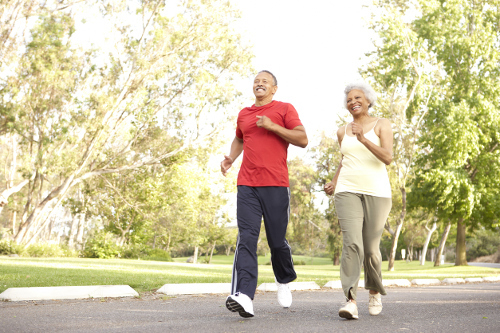 The doctors, who published their findings last month in the journal Progress in Cardiovascular Diseases, looked at old and new data about the effects of exercise and lifespan. They confirmed that regardless of pace, mileage, and frequency, the risk of death in runners dropped by an average of 40%. The finding was even apparent in people who smoked or drank, or had a health problem like obesity or hypertension. They went as far as to say that if every non-runner who had been part of their study began running, there would be 16% fewer deaths overall and 25% fewer fatal heart attacks. Running also seems to be one of those activities where the more you do it, the more you’ll benefit. The researchers worked out that two hours per week of running for 40 years could increase a person’s life expectancy by just over three years. Broken down even further, one hour of running could add seven hours to your life—but only up to three years (not even running will help you live forever). Not a bad trade off! Now, this new information doesn’t nullify the other activities you’ve been doing. If you’ve been going for brisk walks, dancing, cycling, or hitting the gym, you’re still reaping health benefits. This new study simply shows that running—even when exertion levels are the same as other activities—is more beneficial and can bump up your chance of living longer by an additional four percent. So, if you can’t stand running but love other forms of activity, don’t worry—you’re still doing your body good! So, what makes running the most effective activity for increasing longevity? It’s tough to say, and no one has a definitive answer. The association may have something to do with the fact it’s a great aerobic exercise that improves the cardiovascular system, thereby making it one of the best things you can do for your health. Running isn’t for everyone though, and it could cause injury to some, so always check with your doctor before taking it up. Reynolds, G., “An Hour of Running May Add 7 Hours to Your Life,” The New York Times, April 12, 2017; https://www.nytimes.com/2017/04/12/well/move/an-hour-of-running-may-add-seven-hours-to-your-life.html?_r=0, last accessed April 17, 2017.